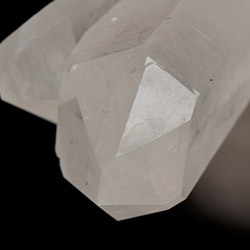 This is a truly amazing and energizing white quartz point. 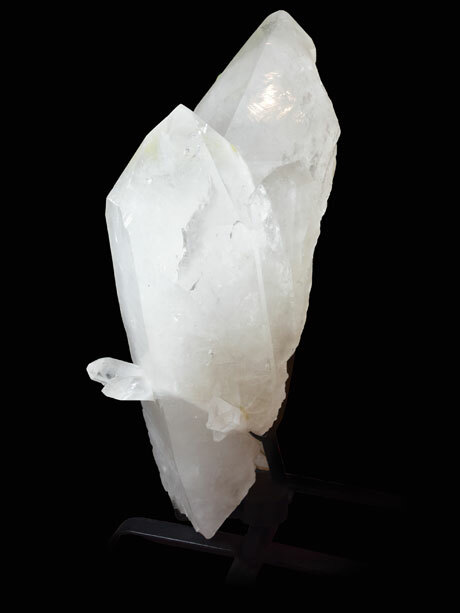 Standing nearly 3 ½ feet tall, this piece is not only a striking single point, but it also has a series of smaller, but similarly striking points growing out horizontally near the base of the main point. 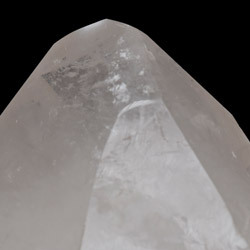 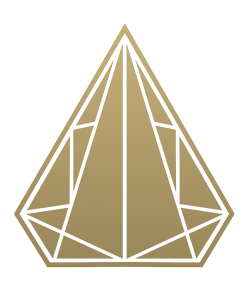 The combination of an upright large point, with a series of smaller horizontal points, creates not only a stone of unique beauty, but also a magical stone for energy work. 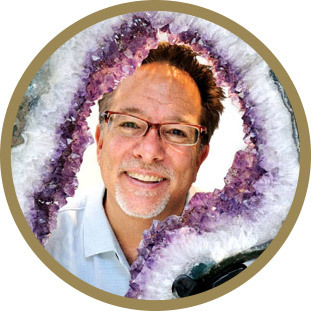 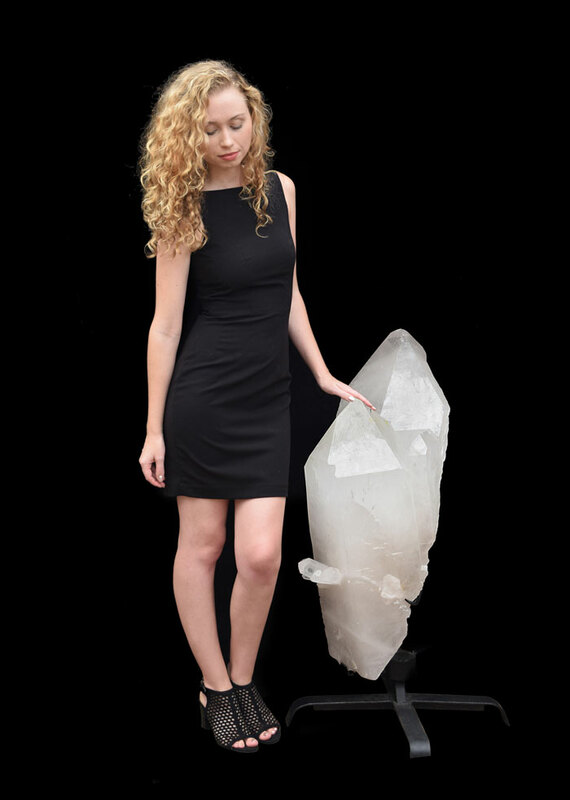 Quartz crystal being the “Master Healer,” this stone, with its energy vibrations going upward and outward simultaneously, can flood a whole room, and its occupants, with healing energy. 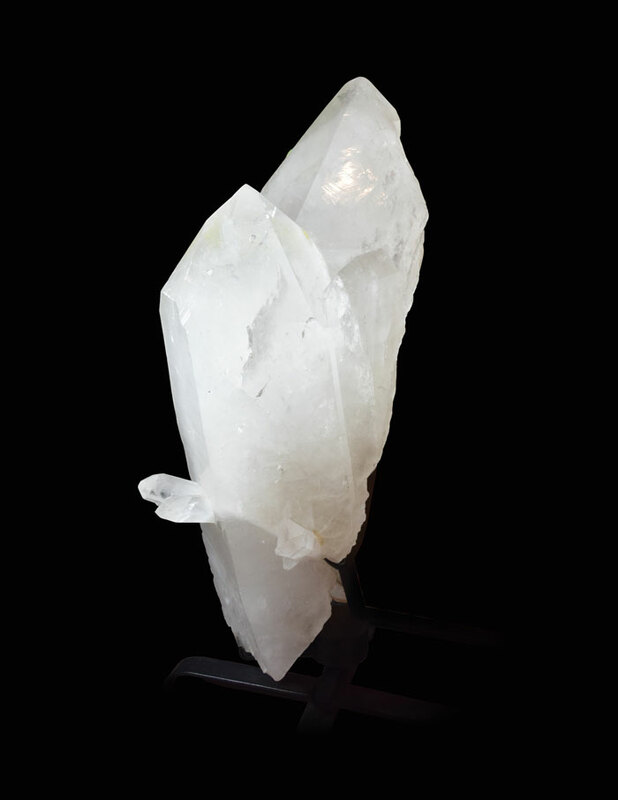 Also being a crystal which harmonizes and balances and environment, this unusual white quartz cluster can also bring peacefulness to any room which it is placed.